Looking for Value? Location? Here You Go! If value and location are tops on your real estate wish list you’ll want to check out my new listing this weekend. 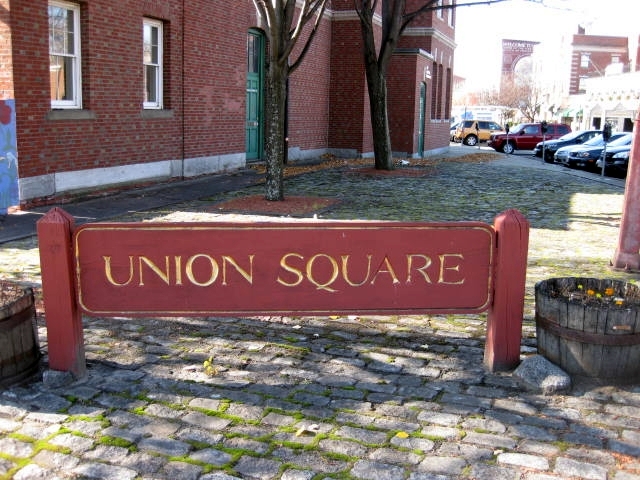 17A Everett Street in Somerville is a 1-2 bedroom condo in the heart of Union Square Somerville new to the market at $189,000. The condo needs buffing up and elbow grease but a buyer with vision will reap the rewards of a smart real estate buy. It’s the proverbial diamond in rough in a location that’s getting more and more popular as the Green Line extension nears and many new businesses open in the square. The first-floor, 765 sq.ft. condo has a private entrance and eat-in kitchen. Originally configured with one generously sized bedroom and a living room more than 20 feet in length, the condo is being used as a two-bedroom by dividing that living room. It’s a smart use of the space and with some finishing touches you’ll be able to maximize the condo’s potential. The association is 100% owner occupied, there’s storage and common laundry in the basement, and the roof was replaced two years ago. For more info about 17A Everett Street in Somerville call me at 617-504-1737 or email me at [email protected]. Showings will take place at open houses this coming weekend on Saturday, Dec. 7 th from 11:30 to 1:00 and Sunday, Dec. 8th from noon to 1:30. Liz Bolton, ReMax Destiny, Cambridge 617-504-1737. This entry was posted on Tuesday, December 3rd, 2013 at 11:47 am	and is filed under Property Info. You can follow any responses to this entry through the RSS 2.0 feed. You can leave a response, or trackback from your own site.